Planning a weekend getaway this fall? Don’t forget to pack Plated. Weekend escapes to quiet mountain villages in the fall are a no brainer for New Yorkers. With the Catskills and Poconos less than two hours away, it’s the only way we keep sane as the chilly breeze blows in and the leaves start to change. 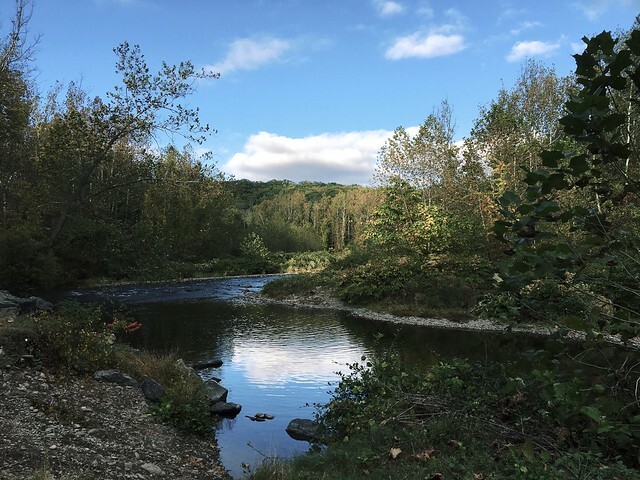 I was recently planning a getaway with my beau to a quaint cabin in Pennsylvania when one big issue dawned on me. We are used to having every cuisine imaginable at our fingertips at all times, and don’t even get me started about the last time I turned on my oven. How were we going to eat with just a handful of restaurants over a 20-minute drive from our Airbnb? We needed quick and easy perfectly portioned meals to cook. Plated came to the rescue. After a few long hours of hiking and exploring, it was time to pick up some local bottles of wine, roll up our sleeves, and get to cooking—something we’d never done together before, I might add. We selected both butternut squash soup and shawarma turkey burgers a few days before because the meals sounded cozy and scrumptious for fall. 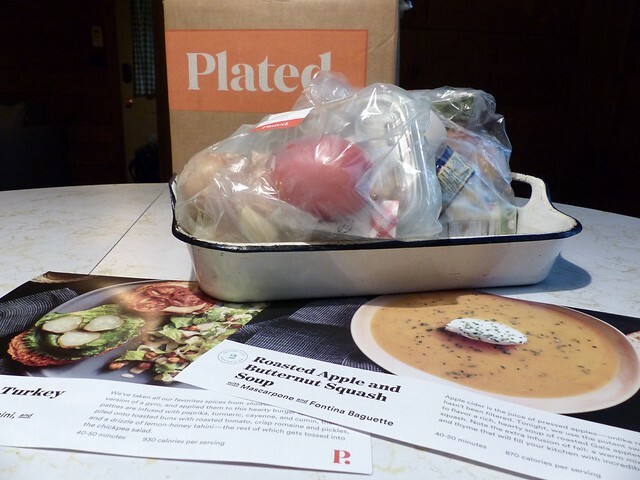 Order your Plated delivery here or find the recipes to recreate this cozy fall dinner below. Apple cider is the juice of pressed apples—unlike regular apple juice, it hasn’t been filtered. Tonight, we use the potent sweet-tartness of cider to flavor a rich, hearty soup of roasted Gala apples and butternut squash. Note the extra infusion of fall: a warm mix of rosemary, sage, and thyme that will fill your kitchen with an incredible aroma. Prepare Ingredients. Preheat oven to 450°F. Halve baguette lengthwise. Finely chop rosemary and sage leaves, discarding stems. Mince garlic. Peel onion and finely chop. Rinse remaining produce. Peel apples and slice off rounded sides, discarding cores, then cut into 1/2-inch dice. Halve butternut squash cubes. Thinly slice chives. Strip thyme leaves, discarding stems. Roast Apples and Squash. 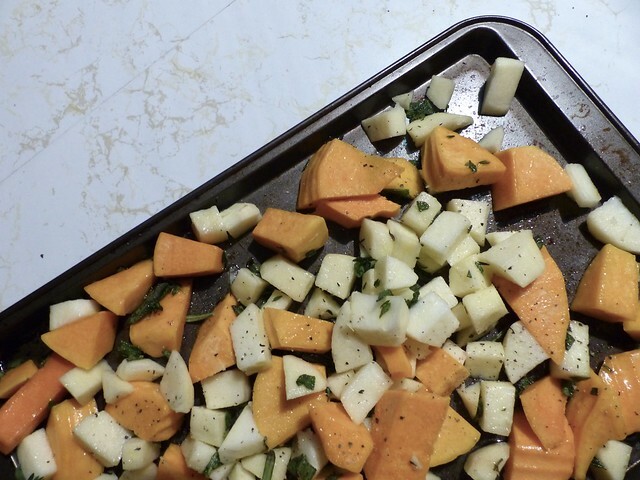 On a baking sheet, toss apples and squash with rosemary, sage, thyme, 1 1/2 tablespoons olive oil, 1/4 teaspoon salt, and pepper as desired. Arrange in a single layer and roast, mixing halfway through, until tender, about 20 minutes. Simmer Soup. While apples and squash roast, heat 1 tablespoon olive oil in a medium pot over medium heat. When oil is simmering, add onion and cook, stirring, until softened, 5-7 minutes. Stir in garlic until fragrant, 1 minute more. Remove pot from heat. Once roasted, add apples and squash to pot, along with stock and 1 cup water. Place pot over high heat, bring to a boil, then reduce heat to medium and simmer until flavors have melded, 5 minutes. Toast Fontina Baguette. While soup simmers, wipe baking sheet from apples and squash clean, and add baguette cut-side up. Spread Dijon mustard evenly over cut sides, then drizzle over olive oil and top with Fontina. Bake until bread is light golden and cheese is melted, about 5 minutes. Blend Soup. Once soup has simmered, remove pot from heat and stir in apple cider to combine. Then, transfer soup to a blender, and blend until smooth. Alternatively, keep soup in pot and, using a large spoon or potato masher, mash apples and squash against sides or bottom of pot until mostly smooth. Season with 1/2 teaspoon salt and pepper as desired. Plate Roasted Apple and Butternut Squash Soup. 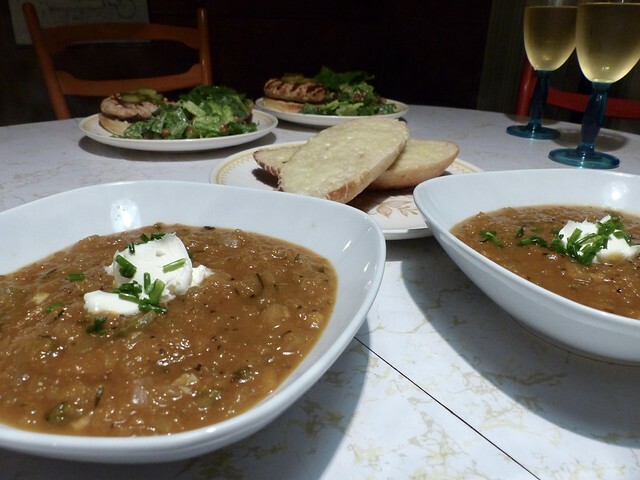 Divide soup between roomy bowls, top with a dollop of mascarpone, and garnish with chives. Enjoy with Fontina baguette on the side—dunking optional! We’ve taken all our favorite spices from shawarma, the Middle Eastern version of a gyro, and applied them to this hearty burger spin. 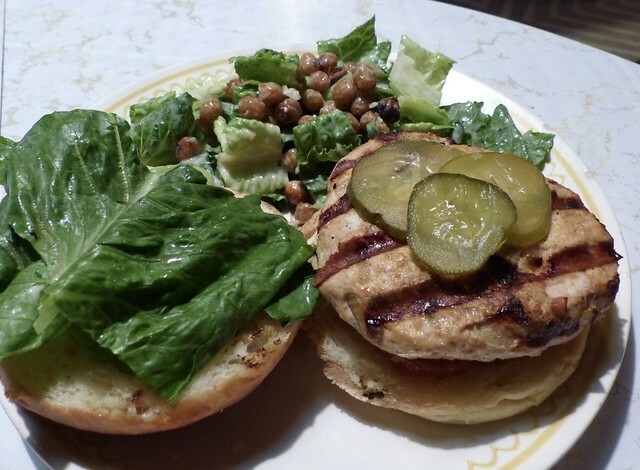 Turkey patties are infused with paprika, turmeric, cayenne, and cumin, then piled onto toasted buns with roasted tomato, crisp romaine, and pickles, and a drizzle of lemon-honey tahini—the rest of which gets tossed into the chickpea salad. Prepare Ingredients. Preheat oven to 450°F. Slice buns open horizontally, if they arrive whole. Pull off 2 large romaine leaves, rinse, and set aside for serving. 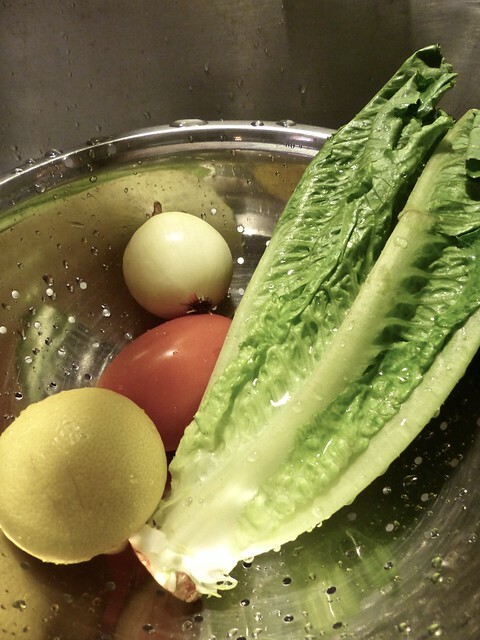 Halve remaining romaine lengthwise and rinse thoroughly, then thinly slice leaves crosswise, discarding tough stem. Rinse tomato and thinly slice. Halve lemon. Peel onion and cut into small dice. Rinse chickpeas and pat dry with paper towel, then place on baking sheet. Roast Chickpeas and Tomato. Toss chickpeas on baking sheet with 1 tablespoon olive oil, 1/4 teaspoon salt, and pepper. Spread in a single layer on 1 half of sheet. On other half, toss tomato with 1/4 teaspoon spice mix, 1/2 tablespoon olive oil, 1/4 teaspoon salt, and pepper. Arrange in a single layer. Roast until chickpeas are browned and tomato is soft, 10 minutes. Then, transfer tomato to a plate. Return chickpeas to oven to finish crisping, 5-7 minutes more. Prepare Garlic and Toast Buns. While chickpeas and tomato roast, mince garlic and, still on cutting board, sprinkle over 1/8 teaspoon salt. Using a large knife, carefully scrape over mixture at a 45° angle, pressing down. Repeat until a paste forms, then place in a large bowl and set aside for making dressing. Arrange buns cut-side down in a large pan over medium heat. Toast until light golden and warmed through,2-3 minutes. Transfer to serving plate. Form Burgers. Return pan from buns to medium heat with 1 tablespoon olive oil. When oil is simmering, add onion and cook, stirring, until soft, about 5 minutes. Transfer onion to a separate large bowl (reserving pan) and season with remaining spice mix, 1/2 teaspoon salt, and pepper. Add turkey. Using your hands, mix well, then form into 2 equal patties, about 1 inch thick. Using your thumb. create a dimple on top of each. Cook Burgers. (We decided to grill ours instead.) Place pan from onion over medium-high heat and add 1 1/2 tablespoons olive oil. When oil is simmering, add burgers and sear until browned on bottom, 3-4 minutes. Flip burgers, then reduce heat to medium and cover pan. Sear until cooked through and no longer pink, 5-6 minutes more. Meanwhile, add tahini, half of honey, juice of 1/2 lemon, 2 tablespoons olive oil, and 2 tablespoons water to a bowl with garlic paste, and whisk to combine. Plate Shawarma Burgers. Season dressing with 1/8 teaspoon salt and pepper. Layer burgers with a spoonful of tahini dressing, then roasted tomato, then pickles, then romaine leaves. Pat sliced romaine dry and add to bowl with remaining dressing, along with chickpeas. Toss to coat. Serve shawarma turkey burgers with chickpea salad, and dig in! Unfortunately, I took on a bit more than I could handle this trip. 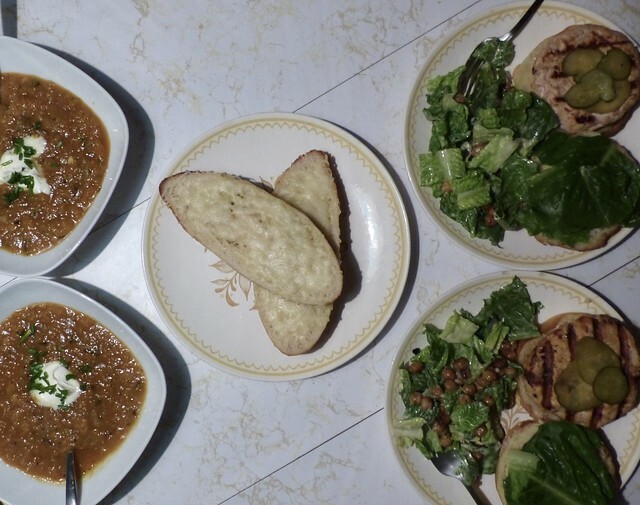 Although the meal was incredibly delicious and the flavors were standout, the preparation was more drawn out than I’d hope for in a meal delivery service. I will definitely be ordering Plated in the future, but will beware of my stocked kitchen utensils and leave plenty of time for prep. BitchBiz: This post was written independently. Plated supplied products.